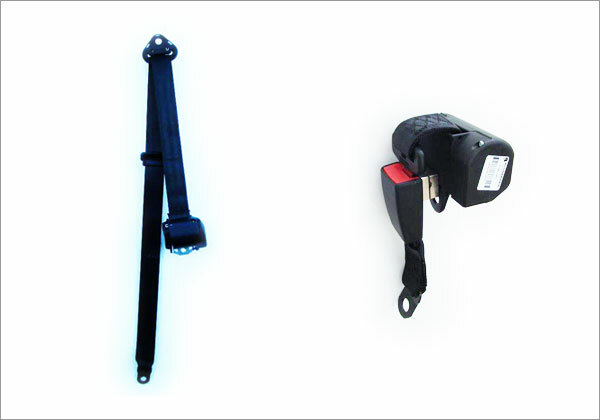 Buckle extension - Universal, male/female fittings. Auto lap retractable (ALR) - non inertia locking mechanism. Low profile 80mm from hole centre to top of body. Horizontal mount standard wound -for universal applications. Vertical mount standard wound -for universal applications. Vertical mount standard wound -for BMC 3x2 seats.